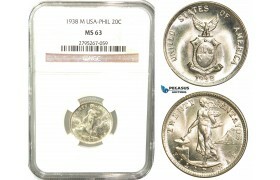 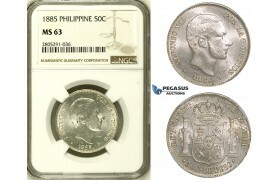 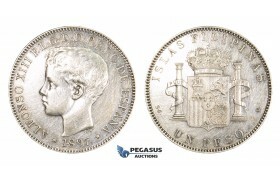 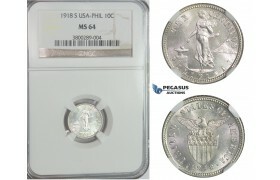 AD156-R, Philippines (US Administration) 1 Centavo 1928-M, Manila, NGC MS65BN ..
C88, Philippines (US Administration) 10 Centavos 1918-S, Silver, NGC MS64 ..
8 Reales 1831-MM, Lima, Silver (26.63g) Countermarked ldquo;F.7.ordquo; on host coin. 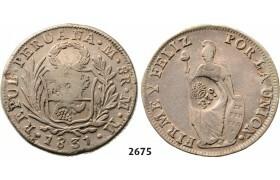 Obv. 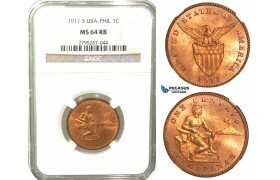 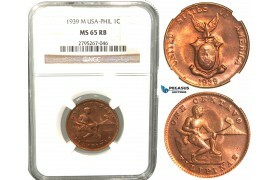 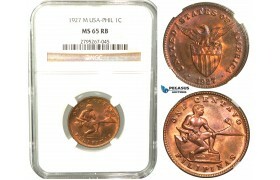 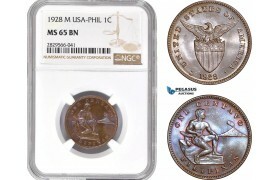 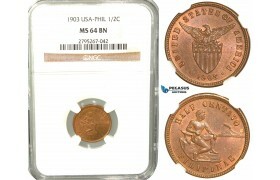 : Medium w..
W52, Philippines (US Mandate) 1/2 Centavo 1903, NGC MS64BN ..
W53, Philippines (US Mandate) 1 Centavo 1904, NGC MS64RB ..
W54, Philippines (US Mandate) 1 Centavo 1911-S, San Francisco, NGC MS64RB ..
W55, Philippines (US Mandate) 1 Centavo 1927-M, Manila, NGC MS65RB ..
W56, Philippines (US Mandate) 1 Centavo 1939-M, Manila, NGC MS65RB ..
W57, Philippines (US Mandate) 20 Centavos 1938-M, Manila, Silver, NGC MS63 ..
ZI62, Philippines (Spanish) Alfonso XII, 50 C. de Peso 1885, Silver, NGC MS63 ..